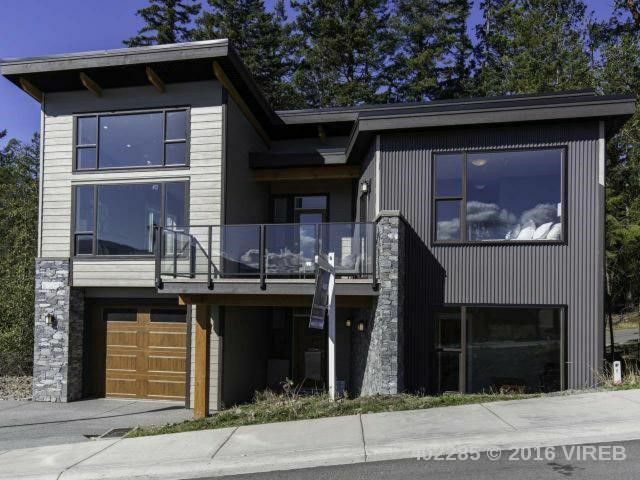 Unique West Coast style home in prestigious Rockwood Heights. Picture the stunning appeal of natural stone accents contrasting durable hardi-plank siding and glass railings. This functional floor plan offers an open concept living area and master suite on the second level, the ground floor provides a media room and 2 bedrooms. Enjoy Southern exposure, set atop a gorgeous view of Mount Benson, nestled among arbutus and the rocky terrain that is Vancouver Island. This location is less than 10 minutes to all levels of amenities.